Kronborg Castle in Helsingør is most famous as the setting for Shakespeare’s Hamlet (in which it is called Elsinore) and one of the most important Renaissance castles in northern Europe. 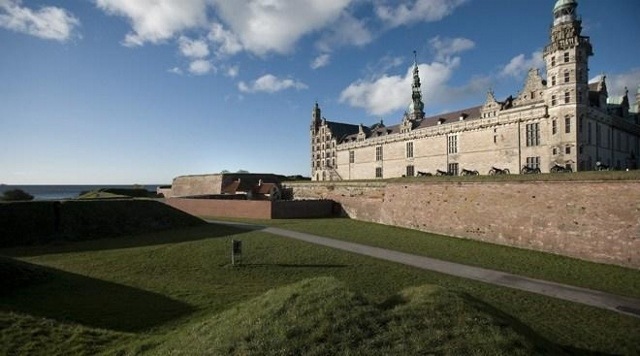 In actual fact it is still uncertain whether the Bard actually visited the place but that hasn’t stopped Kronborg from being the most well-known castle in Denmark and attracting around 200.000 visitors every year. Situated in a beautiful (and highly tactical) position at the seaward approach to the Øresund Sound, it is a formidable sight and it’s easy to see how its cannons, bridges, moats, bastions and other fortifications deterred intruders. Other major attractions are the exquisitely preserved chapel, the statue of Holger Danske (Ogier the Dane) in the castle dungeons and the 62-metre long ballroom. You can also catch performances of Shakespeare plays (including a puppet version of Hamlet) in the grounds of Kronborg Castle during the summer. For pure relaxation, this tiny Swedish island between Denmark and Sweden takes some beating. Hven is only about 4.5 x 2.4 km and has just 360 inhabitants. The ferry takes about an hour and a half from Copenhagen and is very popular. Known locally as Øresund’s paradise island the main attractions here are its beautiful nature, good beaches, the remains of Tycho Brahe’s observatory and the local whisky. Getting around entails the use of a tractor, horse carriage, bus, bicycle or – best of all – your feet. Take a break from walking through Hven’s lovely landscape at one of the cafés and restaurants on the island. You get the feeling that not much has changed on Hven since the whole island and its populace was given to the 16th century astonomer Tycho Brahe by the Danish monarchy. This is where he began the scientific studies of the cosmos that would make him famous. You can see Helsingor and Kronborg Castle (see above) from one side of the island and the Swedish coast from the other. Remember that this is Sweden so they expect you to pay in Swedish Kroner, although many places take cards. Hven Trafikken runs daily tours to the island with morning departures from Nyhavn, 5 hours on the island and the return trip in the late afternoon. It’s a good idea to book this tour in advance. If you want to the experience what is officially the sunniest part of Denmark, you need to travel some 200km east of the capital to the island of Bornholm in the Baltic Sea. Very popular with the Danes (it seems everyone you speak to has had at least one holiday on Bornholm) who make the most of its fabulous sandy beaches (of which is has some 30km), cycling through the fields of corn or exploring its picture postcard fishing harbours. Indeed the tourist office will tell you that seven out of ten visitors to the island come back again. Bornholm makes up for Denmark’s lack of natural attractions (at least when compared with the rest of Scandinavia) with its stunning cliffs and the aforementioned beaches. There are also historic sights such as the castle of Hammershus and four rundekirke (round churches) as well as the more contemporary Bornholms Kunstmuseum (Art Museum). The island is invaded by holidaymakers from Norway, Sweden, Germany and now Poland during July and August, when around 600, 000 tourists give a major temporary boost to Bornholm’s population; this is also when you can enjoy a full programme of cultural and festive events. The island is also famous in Denmark for its ceramics and glassware. From October to April you’ll find Bornholm a very different, far quieter place. Louisiana is located in the town of Humlebæk a few stops before reaching Helsingør on the train. This modern art museum is one of the most interesting in Europe with its combination of the best contemporary work with that of the more established names. Add to this the museum’s beautiful location and unusual architecture and you have reason enough to take the trip out here. 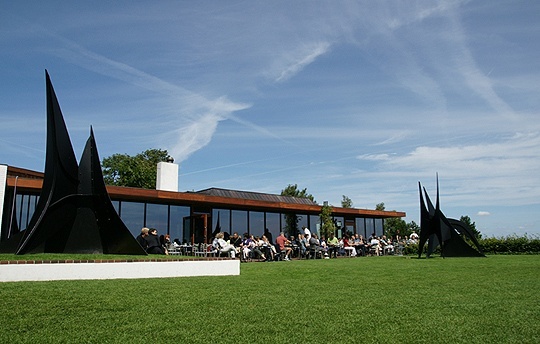 It does draw big crowds during the weekend in the height of summer but deservedly so – in addition to the permanent and temporary exhibitions and sculpture garden you may also be able to enjoy music recitals (see website for the latest information). The museum has a children’s area to occupy the little ones in creative and educational play as well as several options for those feeling peckish. The Lousiana museum café offers a Nordic buffet and has a pleasant terrace and you’ll find plenty to fill your bookshelves at the shop. Whilst Hven is in fact part of Sweden, for a complete Swedish experience take the train over the impressive Øresund Bridge (yes, ‘The Bridge’ from the fantastic Danish/Swedish crime series ‘Brøen’) to the city of Malmö. Known as the City of Parks, it is perhaps more interestingly the city with the highest concentration of restaurants per capita in Sweden. Food is a big draw and helps to explain why Malmö attracts a million tourists a year. There are other reasons to visit too, of course. 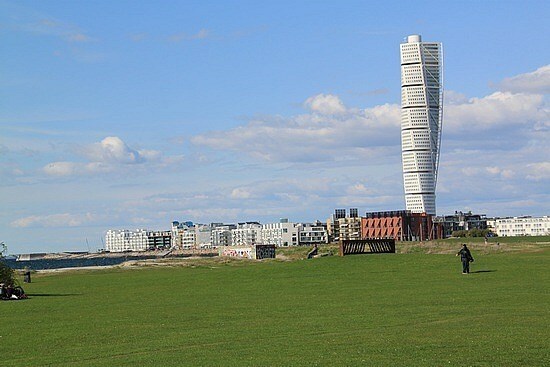 The ‘capital’ of the Swedish province of Skåne (also home to Ystad, where a certain Mr Wallander deals with that town’s somewhat excessive murder rate) also boasts both a 15th century castle and the rather more modern skyscraper called the Turning Torso (pictured above). Most of Malmö’s restaurants are located around the main squares with Lilla Torg being the most popular. For a very un-Swedish experience head to the heart of the immigrant community at Möllevångstoget for more unusual food at far lower prices. Another island well worth a visit is Møn, which has some of Denmark’s most dramatic scenery as well as ancient churches with well-preserved frescoes, pretty villages and plenty of places to buy local handicrafts. The Cliffs of Møn are arguably the most spectacular natural sight in the country and the main reason most people visit, but there are other natural sights to take in such as Klinteskoven (the Cliff Forest) and Liselund Park. 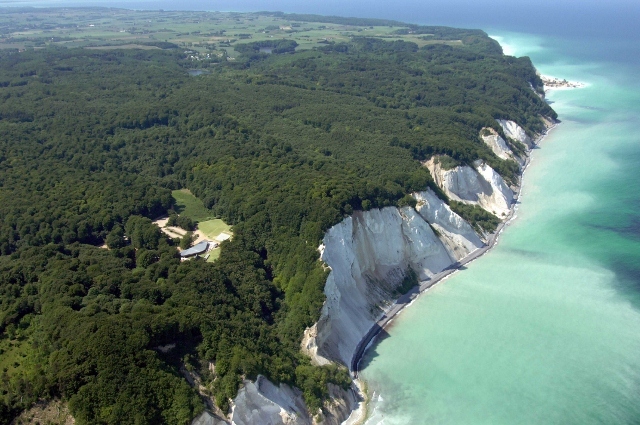 The white chalk of the Cliffs of Møn is found just under the moraine clay and was created from lime shells from microscopic animals and plants being deposited on the bed of a tropical sea which covered most of Northern Europe 75 million years ago. During the ice age these layers were pushed up from the under the ground. You can see the structure of the cliffs from the beach, with alternating chalk, sand and clay. Thin layers of flint stone are visible as dark lines and the chalk also contains fossilized shells from animals such as sea urchins and mussels. We hope you enjoyed these tips – if you think we’ve missed anything out or you have questions or comments please do let us know in the box below – and make sure you sign up for email updates or subscribe to the RSS feed by using the links on the right so you don’t miss a thing from Reis-København.no! « Dagens bilde: Dude, where’s my bike?